Section 36 Pageants: Congratulations Nicolette! 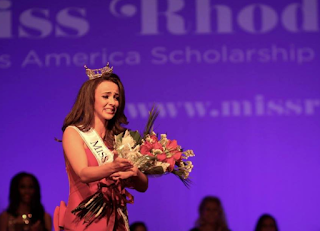 As she completes her final full day as Miss Rhode Island, I want to congratulate Nicolette Peloquin on an amazing year! She will be an incredibly tough act to follow. I was flattered to have been able to interview Nicolette last June, early in her term. Her interview remains one of my most popular! Since then, she's made other appearances on the world of Section 36, and I have been grateful for every interaction! 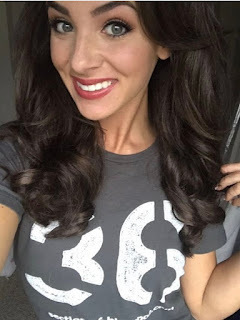 She has even gone so far as to sport her very own Section 36 t-shirt on many occasions. I couldn't be more humbled by that! So, a hearty congratulations to Nicolette! I can't wait to see what the future brings for you, and hope to be able to interact more!